Nestled in between the hustle and bustle of downtown Southlake, I discovered a restaurant that whisked me back to memories of chef school in Scottsdale, Arizona and vacations in the red rock canyons of Sedona… Redrock Canyon Grill has stolen my heart and given me the ability to taste the American Southwest without the hassle of boarding a plane. 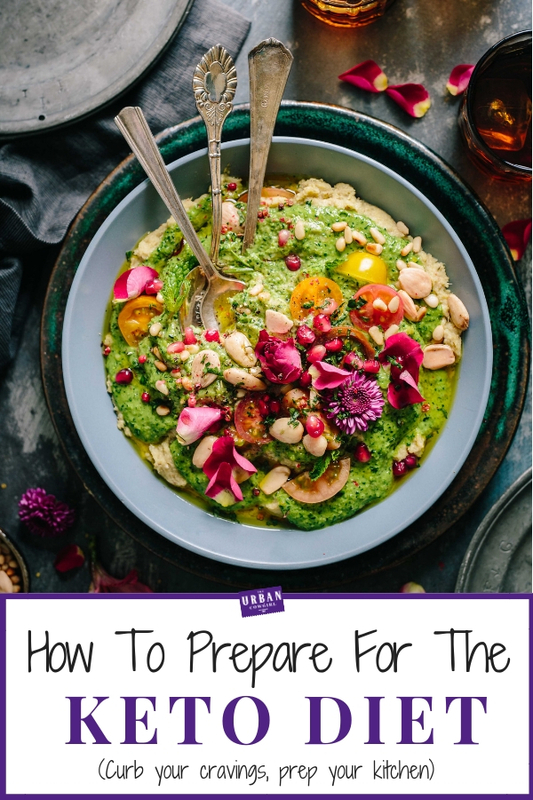 If you’ve read my cookbook, you’ll know I was originally in culture shock when I hopped in my little, green rodeo, with my brand new Air Force husband, and took off on a 3 year southwestern adventure to Phoenix, Arizona. 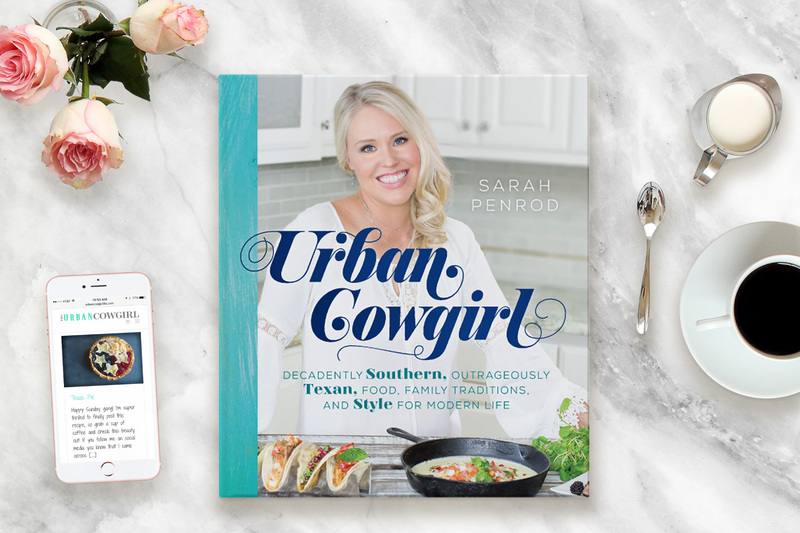 I was not prepared for the cultural shift—specifically the transition from Tex Mex to Sonoran cuisine, and as we voyaged on into the vast, Chihuahuan Desert, I sipped my last Dr Pepper and contemplated how sheltered I had been raised. So last week, as I darted from shop to shop searching for the perfect dress for Good Morning Texas, I did a double take when my eyes read the sign, “Redrock Canyon Grill”. I walked in greeted by the aroma of roasting peppers and the sizzle of spit-fire rotisserie chicken… like a hacienda campfire, but with high end cocktails and cozy, black leather booths. 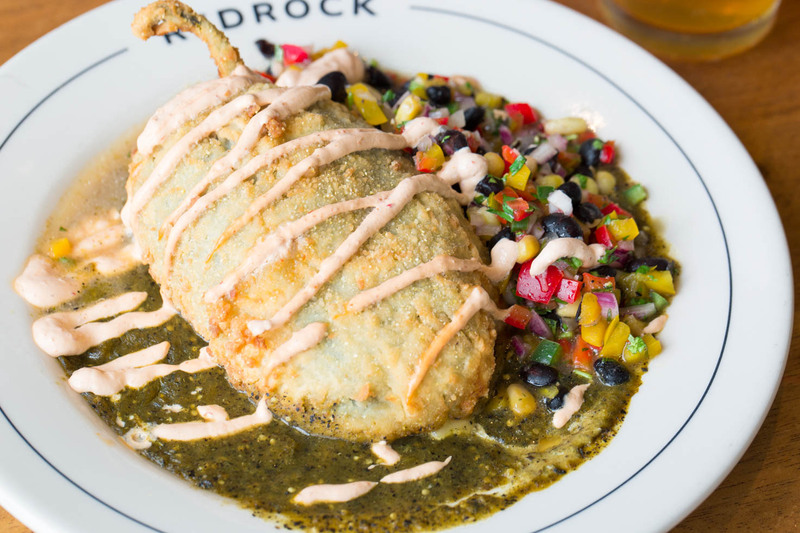 Of the MANY tasty dishes we sampled that day, (all of which are featured on Instagram), the smoked cheddar and chipotle chicken stuffed pepper with corn salad and salsa verde won my heart and whisked me back to that magical time in Arizona. 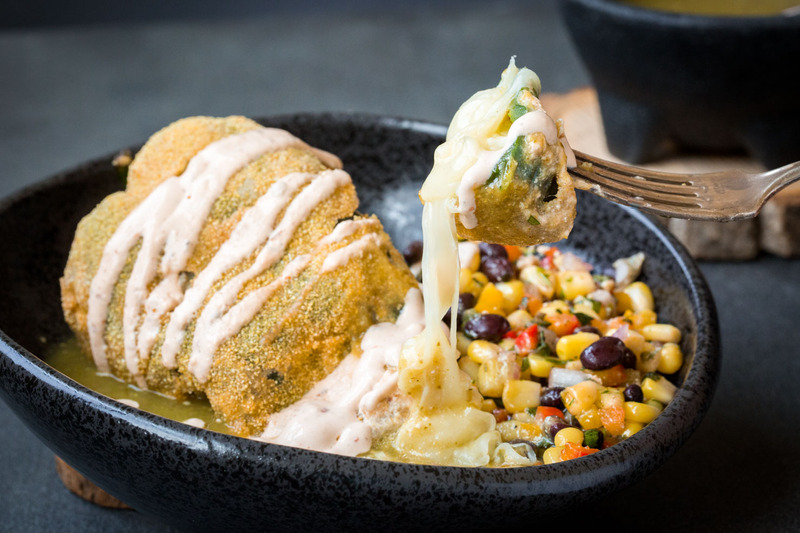 Now this stuffed pepper, which is a signature item for the restaurant, is found on the appetizer menu— but filling enough for an entire meal. 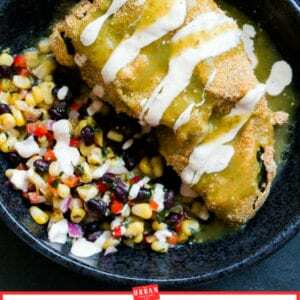 I’ll be including my recipe recreation below and also posting the corn salad and salsa verde in linked posts for easy indexing on Urban Cowgirl. If you find it seems too laborious for you, I recommend stopping in at the restaurant where you can taste the entire dish for under $10. DO NOT skip the Almond Joy dessert drink, or the calamari with roasted garlic aioli (which now keeps me up at night thinking about it 😛 ). 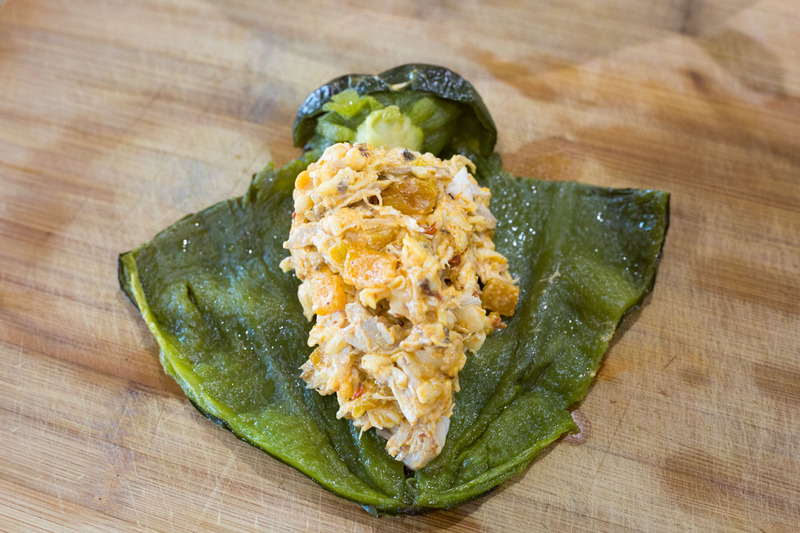 It’s an enormous poblano pepper stuffed with smoked cheeses, tender rotisserie pulled chicken, and roasted peppers. 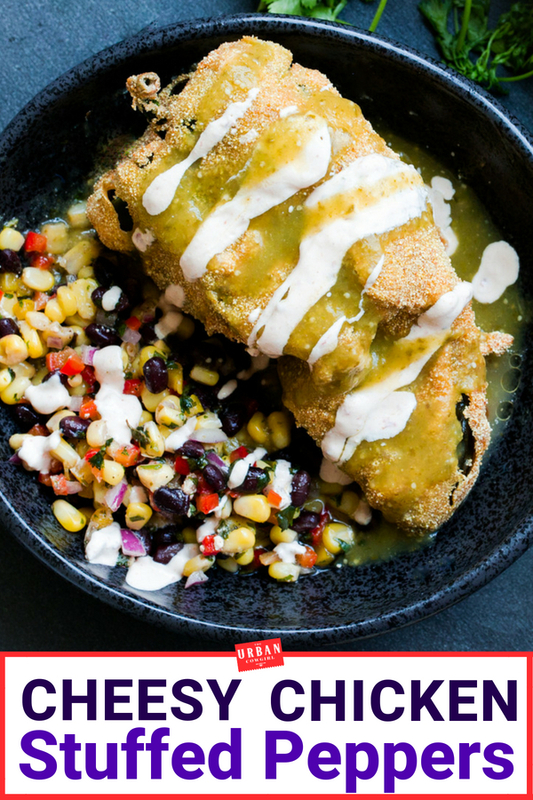 It’s nestled on top of a bed of Homemade Salsa Verde, accompanied by fresh Corn and Black Bean Salad, Marinated in Mexican Vinaigrette. 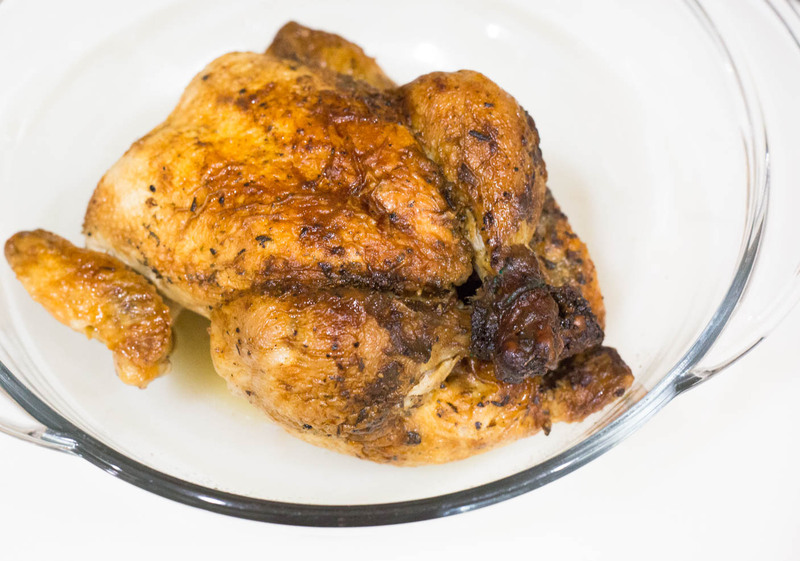 I just picked up a store bought rotisserie chicken, pulled the meat and placed it into a bowl. Then I add freshly shredded monterey jack cheese and smoked cheddar cheese. In a small skillet I’m melting butter and caramelizing the red onion. I’ll season it and add my chopped, roasted red and yellow bell pepper into this mix. Finally I’ll add in 1-2 t. minced chipotle peppers in adobo sauce, (which are found canned in the Hispanic section of the supermarket.) I’ll cool this and add it to my bowl. 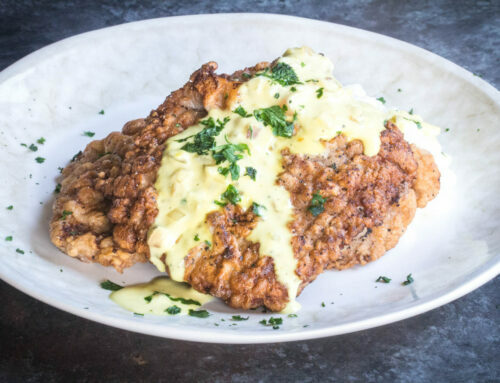 The last step is to whip up some chipotle sour cream. I’ll mix up 3/4 c. of sour cream with 1 T. minced chipotle peppers in adobo sauce, and stir well. Half of this will be reserved for topping the stuffed, cooked peppers, the other half I will add to the filling for moisture and interest. Now I’ll refrigerate both the chicken filling and the sour cream while I roast my poblano peppers. 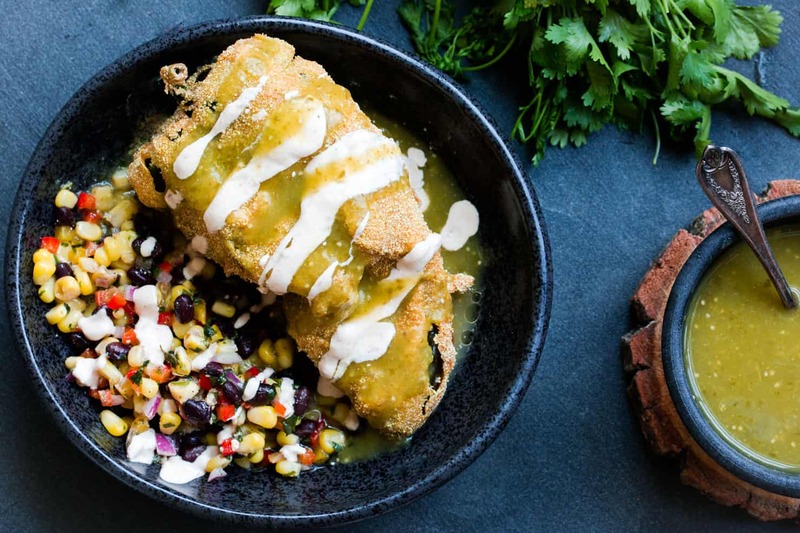 To make great stuffed peppers, also referred to as chile rellenos, you’ll want to learn a technique called the T-CUT. This way of slicing the peppers is done beforehand so that once you the flesh has been lightly roasted, you can stuff the peppers without damaging the fragile flesh of the roasted pepper. 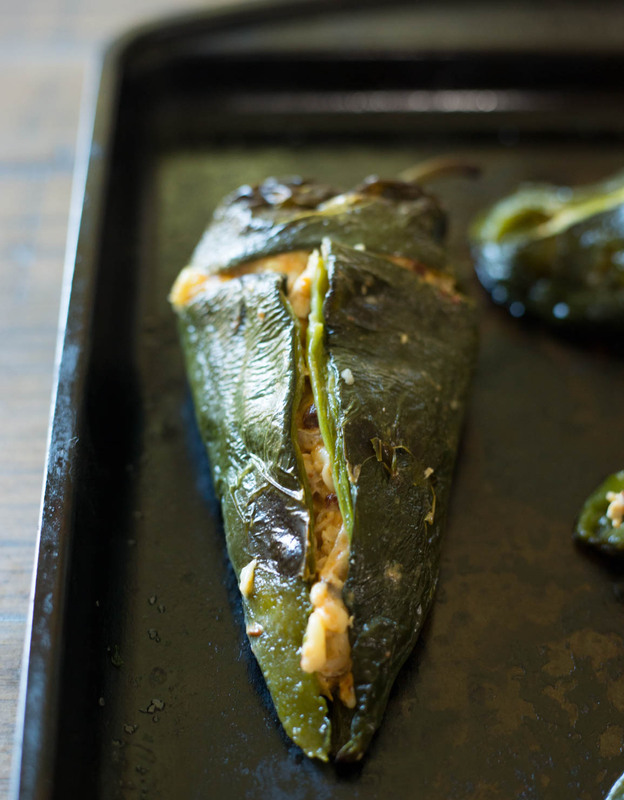 This technique works well with all recipes for stuffed and roasted, long, mexican peppers. Fill all the peppers and lay them out of a cookie sheet. 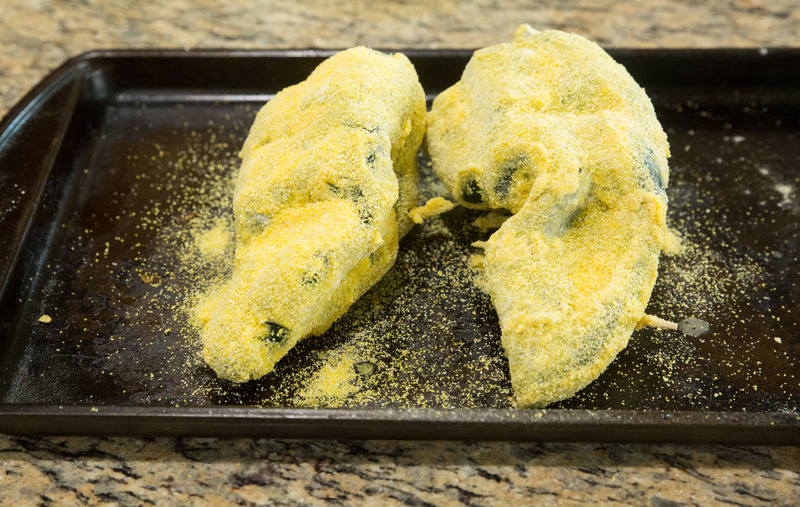 Place them in the freezer to chill while you clean up and prepare to fry them. Prepare the breading station and heat the oil to 350 degrees while the peppers chill in the freezer. 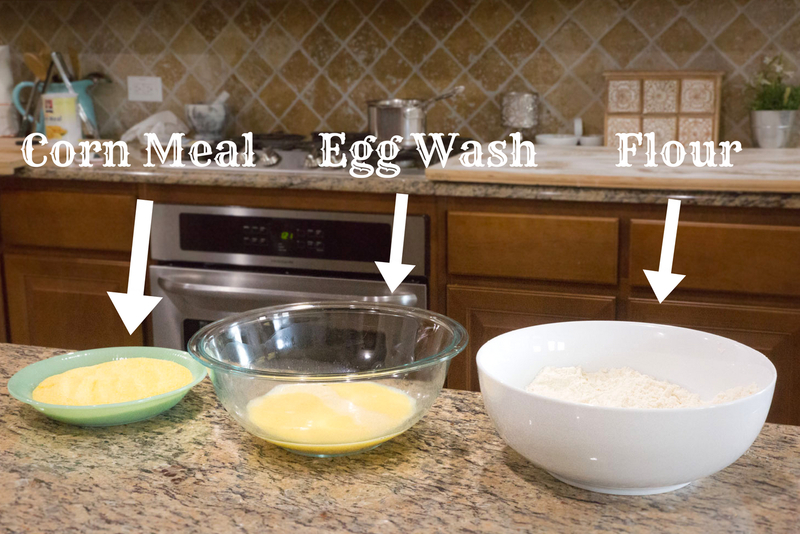 For the breading station dip the peppers… egg wash, flour, egg wash, cornmeal, egg wash, cornmeal… then lay the stuffed peppers out to sit for 10 minutes as the crust will harden and adhere, and the egg and flour develop into a kind of glue…. Fry the peppers one at a time until golden brown. Drain well on paper towels or on a cooling rack. Salt the outside of the stuffed peppers. Place the peppers down on a cooling rack or paper towel so that excess grease can run off of them. 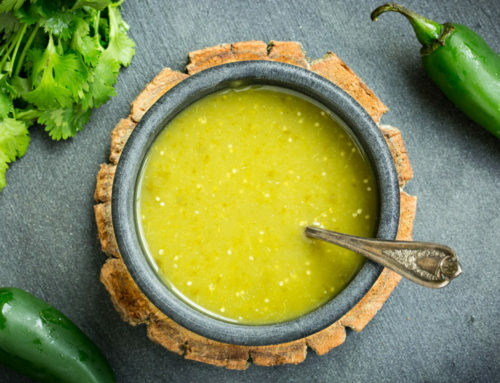 On each plate place a serving of the Homemade Salsa Verde, place the pepper on top. Drizzle with the Chipotle Sour Cream. 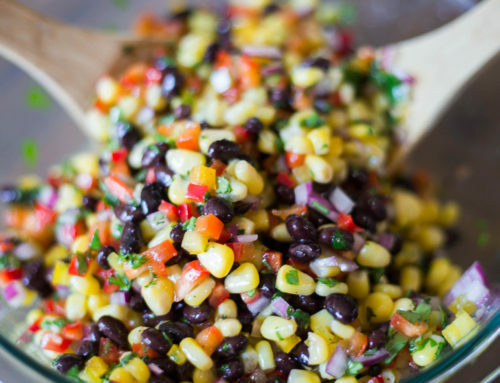 Serve with the Corn and Black Bean Salad in Mexican Vinaigrette. 1 quart of canola oil poured into a large saute pan with high sides, or you can use a medium sized dutch oven to fry the peppers. 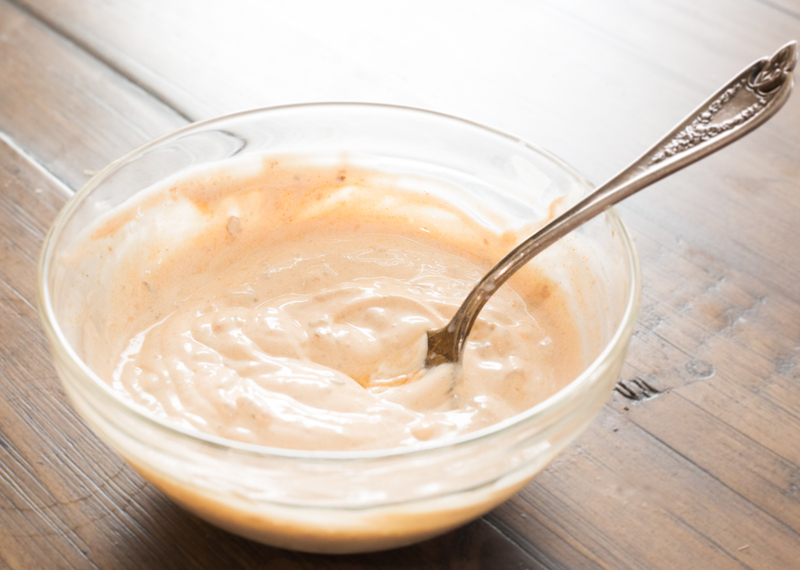 Mix up the chipotle sour cream and add half of it to a bowl for your filling. 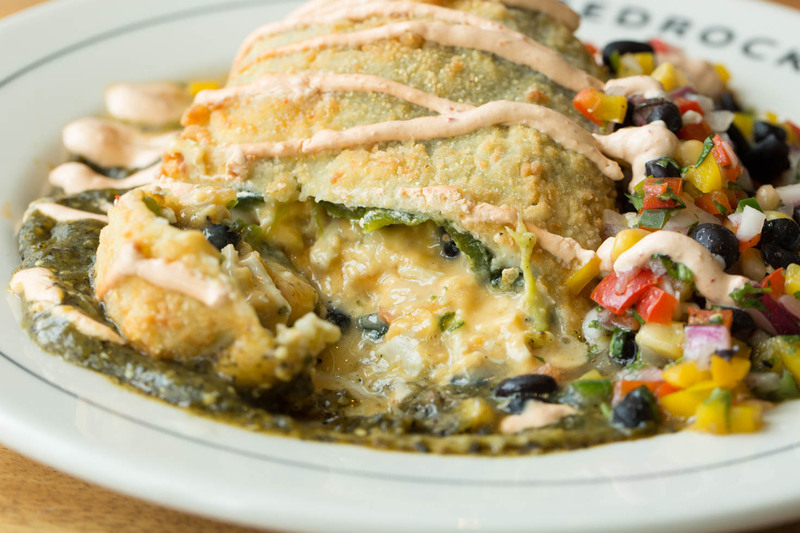 Reserve the rest of the chipotle sour cream for topping the stuffed peppers. In a small saute pan, melt the butter and soften the red onion for just a few minutes. Add the chipotle pepper and the seasonings. 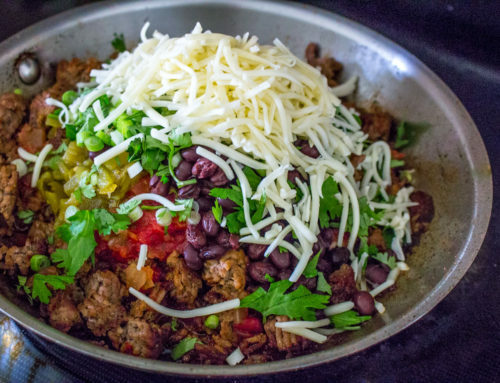 Add to the bowl with the chipotle sour cream. 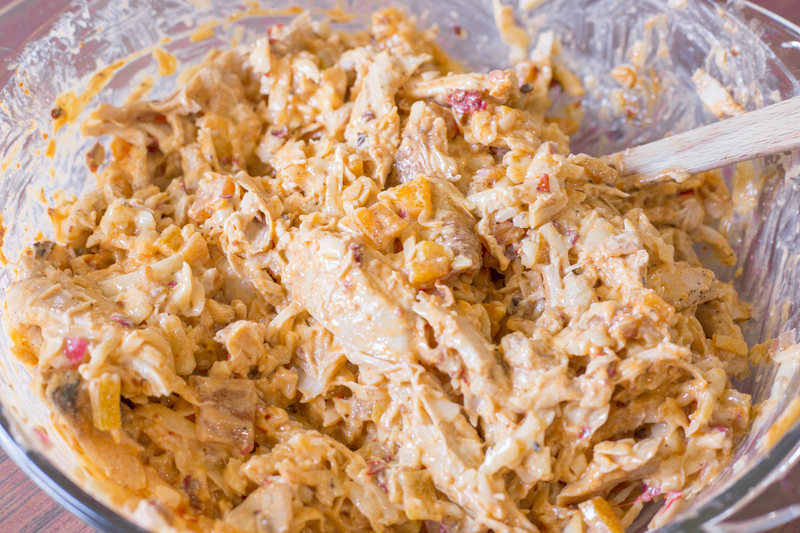 To the shredded rotisserie chicken add both shredded cheeses, the onion mixture and the roasted peppers. Season with the rest of the ingredients. Chill this filling until its time to fill the peppers. 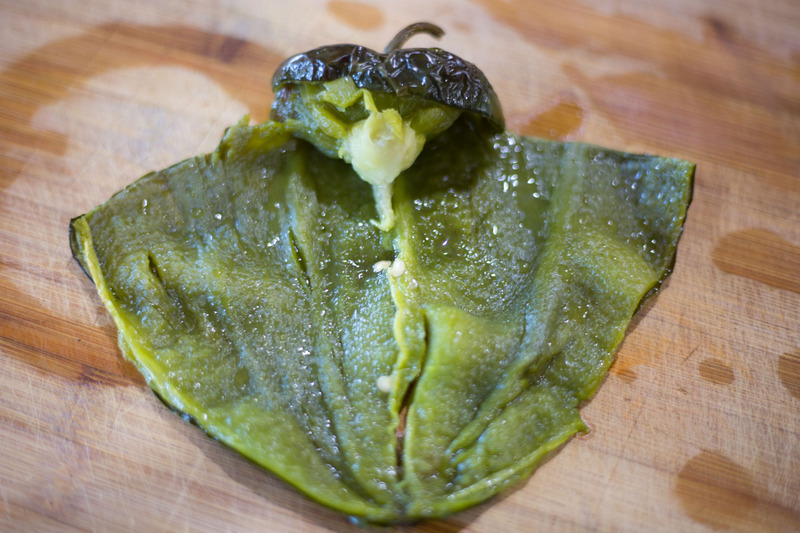 For the poblano peppers, cut them with a sharp knife in the T formation show in the blog post. This allows them to easily be opened up after roasting. Place them in a 425 degree oven for 20 minutes until the skin begins to puff up. 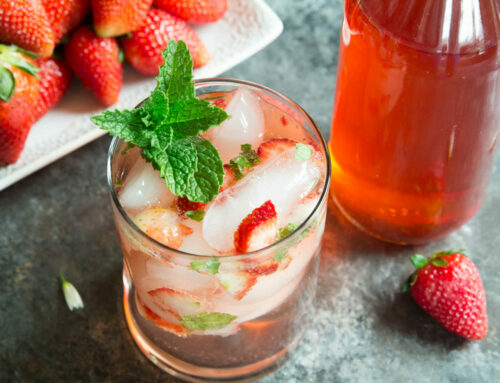 Using tongs remove them to a glass bowl and cover with saran wrap or a lid. This allows the skin to steam off. Carefully pick the blistered skin off. Lay out as shown to get ready to fill them. 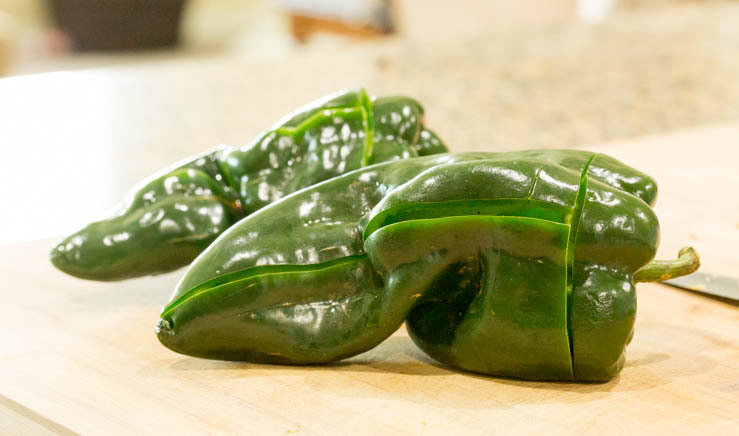 Fill the poblanos with the chicken mixture and place in the freezer while you clean up and prepare to fry them. 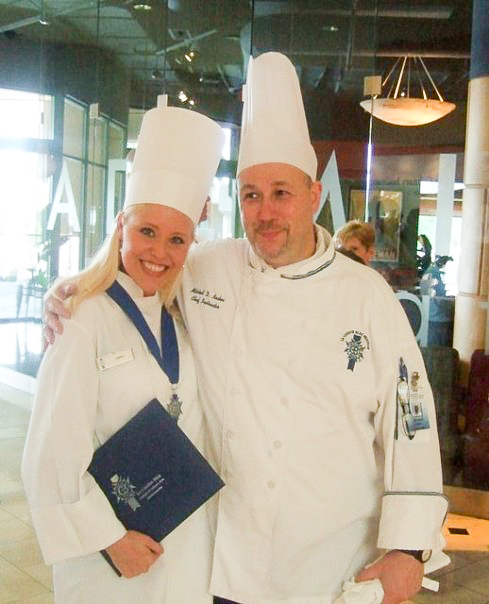 Corn Salad and Salsa Verde Recipes are given their own pages and are linked within the post.